Environmental watering provided much-needed drought relief for fish, frogs and waterbugs in the Werribee River after a hot, dry start to the summer. In 2015–16, environmental water was released into the upper reaches of the river: they would otherwise have been a series of disconnected pools. Ongoing monitoring shows that the parts of the river that were watered had significantly more frogs, fish and waterbugs than the parts of the river that can't receive environmental water. "This is clear evidence that environmental watering really is very important in providing critical drought refuge habitat," said Melbourne Water's Bill Moulden. "These creatures move to where there are suitable water levels, where they can take refuge until conditions improve. "Environmental watering also ensures that native plants along the river bank receive enough water when the river is otherwise low." 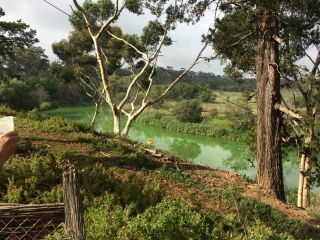 Environmental water was also released into the lower reaches around Werribee, to improve water quality and flush a blue-green algal bloom. "Water testing indicated that water quality improved after the summer release of environmental water and was successful in completely flushing a blue-green algal bloom, an unfortunate side effect of prolonged periods of hot weather," Bill said. "This improved conditions for native fish and frogs, with the added benefit of improving water quality for recreational fishers in the lower reaches of the river and the estuary." Environmental water is sometimes used to manage blue-green algae when the outbreak is small and the system is small and isolated. The lower reach of the Werribee River flows through an important recreational centre in western Melbourne. Each year, thousands of people visit and use the facilities along this part of the river: Werribee Park (including Werribee Open Range Zoo, Werribee Mansion and hotel, Werribee Park Golf Club and Werribee Park National Equestrian Centre) and Werribee South Boat Ramp. 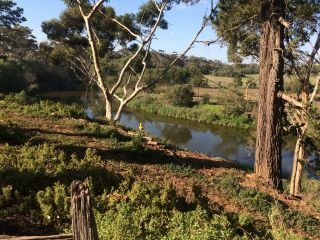 Environmental water improves the quality of water in the Werribee system, improving the appearance of the river and generally making it better for visitors and fishing.